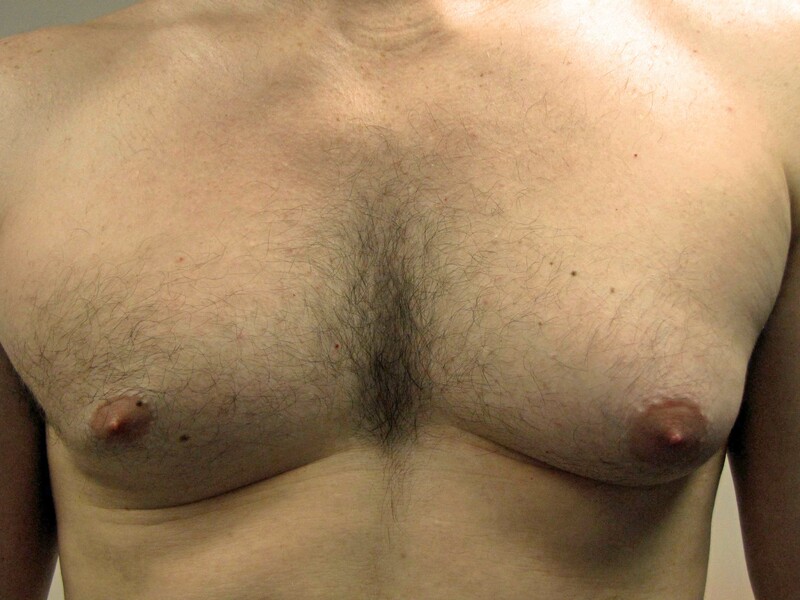 Enlarged, feminine like breasts in males, known as gynecomastia, is a fairly common occurrence. Unfortunately, as may be expected, its presence can be mentally and emotionally devastating, resulting in embarrassment, humiliation, loss of self-esteem, anxiety, depression, self imposed social isolation, eating disorders and even thoughts of suicide (See The Emotional and Social Impact of Gynecomastia on the Adolescent Male). Pretty much of a bummer to have! However, there is good news. Male breast reduction plastic surgery for the treatment of gynecomastia can be very successful and effective in correcting this problem thereby explaining the very high level of satisfaction in men who have had surgery. The most commonly performed approaches involve either liposuction of the breasts (including ultrasonic assisted liposuction) or direct excision of the excess breast tissue or a combination of both, typically accomplished with just one relatively short incision per side. In a vast majority of the time, both breasts are affected with the abnormal growth and, therefore, need to be surgically treated. 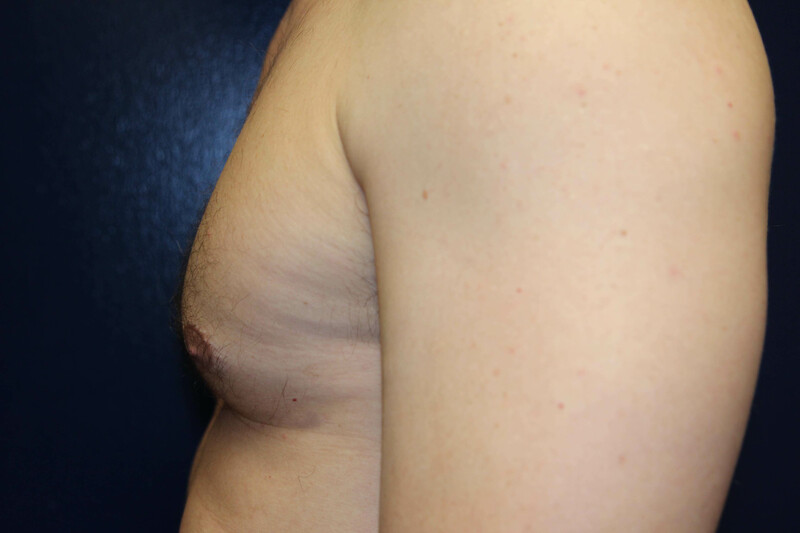 On occasion, I will see a patient who has gynecomastia of just one side and who seeks treatment of that breast only. The patient shown below is a good illustration of this situation. The photos below (A, C and E) are those of a 35 year old male who was bothered for many years by the noticeable enlargement of his left breast. Its presence affected his self-esteem and confidence, caused a lot of anxiety and made it difficult for him to swim or take his shirt off in public when engaging in sports. He denied ever having taken performance enhancing drugs including creatine though he had been using Propecia® for several years for the treatment of hair loss (usage of this drug can lead to gynecomastia). This patient opted to proceed with surgery which consisted of ultrasonic assisted liposuction as well as direct excision of the abnormal breast tissue and was accomplished using an incision along the border of the lower half of the left areola. He experienced minimal discomfort postoperatively and had no complications. At three weeks he was able to resume all his normal activities without restrictions. The result from the plastic surgery was exactly what he was looking for and needless to say, he was quite happy (and relieved) with the outcome (photos B, D and F). If you would like additional information on male breast reduction surgery or for any plastic surgery procedure that I perform, you can contact my office at 480-451-3000.